The Moody Blues made their most indelible mark on pop music with the landmark LP Days of Future Passed. That concept album was one of the earliest successful combinations of light-classical music and rock. Though it was released in 1967 – the fertile period that also gave the world Sgt. Pepper’s Lonely Hearts Club Band – the album-proper didn’t make its mark on American charts until 1972. (They did hit the US singles chart a number of times, however.) And by that time, the band’s pre-Days music had largely been forgotten (if was ever known at all). The earliest music made by The Moody Blues features a significantly different lineup of musicians, and – at least initially – a sound almost completely removed from the approach used on Days of Future Passed and subsequent albums. The original Moody Blues featured Denny Laine – later of Wings with Paul McCartney – on lead vocals and guitar, as well as bassist Clint Warwick. The other three members – drummer Graeme Edge, keyboardist Mike Pinder (with Laine, the band’s chief songwriter at this stage), and vocalist/flautist Ray Thomas – would stay on to become the foundation of the more well-known lineup featuring Justin Hayward and John Lodge. The early Moodies sound was built around readings of American rhythm and blues and Merseybeat-flavored tracks; they were for the most part a cover band. As the group progressed, they began writing original material that established a more focused identity, but it was songs such as a cover of Bessie Banks‘ “Go Now” that established the group. 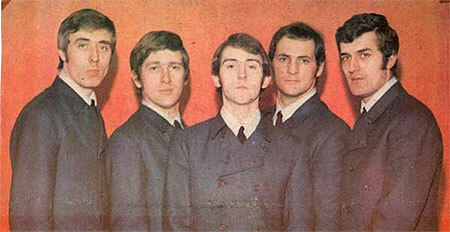 They were rewarded for such tunes with spots on the British music charts: “Go Now” reached number one in Britain. 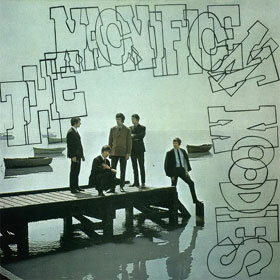 The original group’s sole album The Magnificent Moodies has been reissued and repackaged countless times in the the ensuing nearly-fifty years. In the US the album was reordered and released as Go Now: The Moodies #1, though – like The Magnificent Moodies – it did not chart. Subsequent reissues added various non-album tracks from the era – the group was essentially a singles band – but none of the releases could truly be called comprehensive. That has changed now, with the new release of The Magnificent Moodies that includes everything the group cut in those pre-Days of Future Passed years, plus a collection of radio broadcast material. Fifty-odd tracks document the period in full. Showing a band in transition from beat group to tunes that tip the group’s hand, the music gives subtle hints of the direction they’d follow soon after Laine’s departure. Taken together, the bonus tracks on the first disc alone of The Magnificent Moodies box set add up to enough material for a whole additional album. The material is strong, and is weighted more toward originals than the album-proper. “We were really busy – either playing or recording – in those days,” says Thomas. “We were doing a lot of cover versions: James Brown, Tim Hardin stuff.” Thomas doesn’t remember cutting some of the material that ended up on the box set, most notably the songs cut in 1966 with producer Denny Cordell. “I was just doing an interview with another guy in the States, and he was going on about [our cover of] ‘Hang Onto a Dream’ by Tim Hardin. I was absolutely knocked out! The vocal backing on that particular track, I thought, were great. I’m blowing me own trumpet here, but I thought, ‘That’s mighty good.’” Thomas also doesn’t remember cutting “The 23rd Psalm” another bonus track (from 1964) included on the box set.